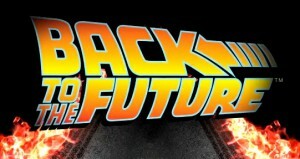 Back to the future … of Testing! I recently spent two days in Barcelona with all of Sogeti’s Testing Practice leaders. Among other topics, we debated about the future trends in Quality Assurance. I had the chance to attend a great and very inspiring presentation from SogetiLabs Fellow Andreas Sjöström, which made me realize that our tester’s job is evolving, and that we have to evolve with it! After the presentation, I felt a little bit like when I was a teenager and watched the “Back to the future 2” movie for the first time. In this movie, a young guy (Marti McFly) travels to the future (in 2015!) where he uses great futuristic tools like the famous overboard (a flying skateboard). Unfortunately, there is no overboard or any flying car in Barcelona (in 2015 so far), but the new mobile and connected devices currently appearing are also very exciting! This means, we already have to adapt our methods and anticipate the changes that will occur in the years to come. It is essential, if we want to be able to validate efficiently the products that we will have to test in the next few years. If you think about how you would design an efficient Test Strategy for all SMACT items, the challenge becomes obvious: You won’t test a social network the same way you test a web application, a mobile application or a connected watch. These new technologies require new Quality Assurance approaches and new test types. For example crowd and Omni-/Multi- Channel testing are appearing to address the Mobile, Social or Cloud requirements. With crowd testing, different groups of users from different places will perform testing. These people are not necessarily consultants or employees. The access to a large population helps to discover quickly various defects, which may be related to the application under test, or to the differences of infrastructure between geographical locations. It’s also an efficient way of gathering multiple feedbacks related to usability testing. Omni-channel and Multi-channel testing can be used when validating applications through several interconnected devices. Omni-channel testing’s objective is to validate a single process that spans across multiple devices, when Multi-channel testing is about validating the same process on a range of devices. This is only the beginning of this (r)evolution, but Sogeti’s experts are already working hard on these topics to ensure that we are ready to address these changes and remain leaders in the field of Quality Assurance. For more information about Testing and Quality Assurance services you can visit SOGETI’s website. Lionel Matthey has been Senior Consultant for Sogeti Group since 2012. In this role, he is responsible for delivering Testing and Project management services to our clients. He is also in charge of the research on good practices about agile testing. Several knowledge sharing sessions have already been organized to present the result of his studies and practical examples of the lessons he learnt in Swiss banks. Lionel is also involved in the preparation of answers to clients’ service requests about testing (RFPs, RFIs…). More on Lionel.